Love Harmony Glass. Bach flower remedies, A.Vogel herbal, homeopathic and other wellbeing products from Alby, Cromer, Norfolk. 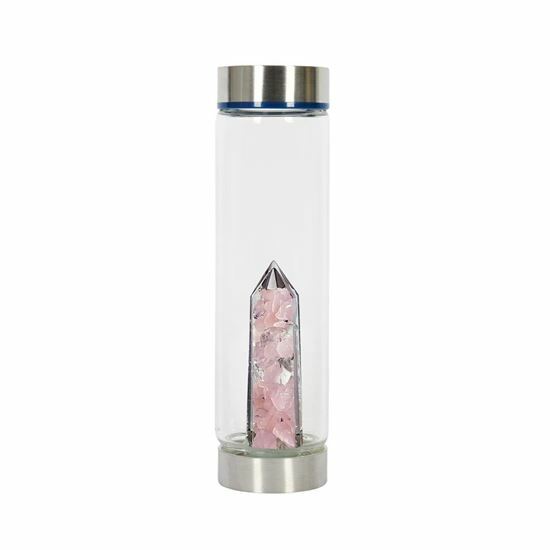 Much like it’s energy attributes, Rose Quartz is often associated with a strong heart and circulation. Rock Crystal is reputed to promote hydration, which is great news for the vitality of your hair, skin and nails.